As the end of the year approaches, a question we might ask ourselves as marketers and salespeople is: “What can we do better in 2018?” Undoubtedly, 2017 has been full of interesting developments – from the growth of voice search and the arrival of mainstream AI, to chat bots and the widespread use of video marketing – but will you use these developments to add to your marketing in 2018? Having an appreciation and awareness of these tools, developments and new technologies will give you options to put your business in a better position to market more effectively in 2018. But with so many changes to the marketing and sales landscape in the past year, what channels or strategies should you focus on to improve your marketing in 2018? In 2016, Google said that 20% of all mobile queries were voice searches. 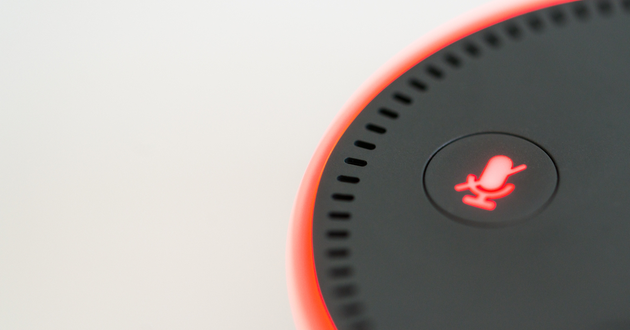 As voice search becomes more commonplace and accessible – thanks to mobile technology – the percentage of queries that are voice searches will only increase. Marketers should, therefore, think more from the perspective of the searcher and the kind of language they would use when looking for specific products and services and incorporate that into their keyword strategy. Search engines have evolved for the better: influential search engines appear to have changed their algorithm to favour topic-based, rather than keyword-based, content. As a result, SEOs and content marketers are changing their approach to content and instead building content using a “topic cluster” model. 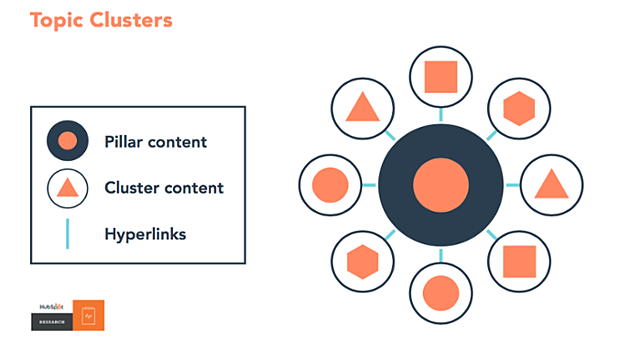 According to HubSpot, our guide and mentor, a topic cluster is where a single “pillar” page acts as the main hub of content for an overarching topic and multiple content pages that are related to that same topic link back to the pillar page and to each other. In simpler terms, a pillar page is a broad overview of a specific topic – think of it like a summary or road map – which then links to in-depth articles relating to the pillar topic, these articles are known as ‘cluster content’. Topic clusters are a tremendously effective way of demonstrating your business has an intricate understanding of a topic – and to provide further information to prospects who want to educate themselves or resolve a business problem. With topic clusters, businesses can attract more traffic and encourage website visitors to engage by providing them with amazing, high-quality and freely available content. Want to learn more about topic clusters and how they can benefit your business? Artificial Intelligence (AI) is one field of technology that is making huge waves across every industry at the moment. AI offers every industry – not just marketers and salespeople – with new ways to automate and enhance processes. In marketing, marketers can use AI to reduce workloads, improve personalisation, engage with prospects at scale through the use of chatbots (more on that later), and refine their targeting based on data. Also, AI-powered analytics tools can group together the increasingly large datasets that marketers now deal with and analyse that data to provide previously unseen insight. However, no matter how sophisticated AI becomes, humans will still need to validate processes to supplement AI technology. In the future, marketers will utilise AI to manage activities at scale and to identify new opportunities across every channel – be it social media, email, content marketing, lead nurturing or otherwise. Those activities will, however, be validated by human operators for quality assurance, giving marketers more time to focus on other activities. 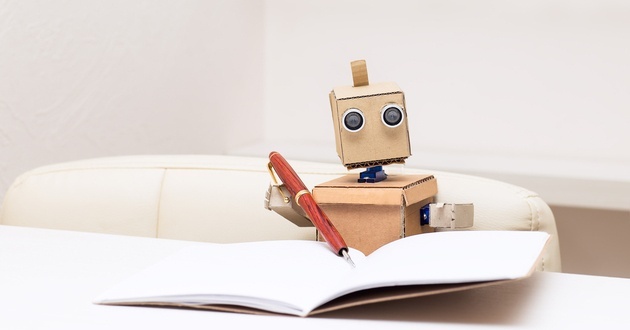 Recent developments in AI and content marketing are leading to some interesting developments in content marketing artificial intelligence. Technology has changed the way we communicate. In today’s digital-first world, your customers and prospects expect to be able to converse with your business wherever, whenever – and that puts a strain on your business as no human employee can be available 24/7. There is, however, a solution: a chatbot. Chatbots, unlike human employees, operate 24/7 and can support customers wherever, whenever. 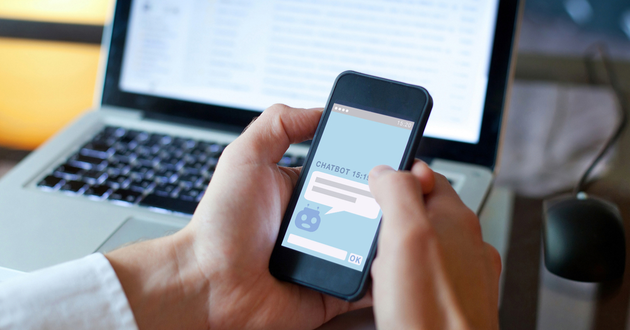 Businesses are already utilising chatbots, especially in their customer service departments, to provide information to customers, assist them with queries, resolve problems and to nurture leads. According to research by social media behemoth Facebook, 53% of people are more likely to shop with a business they can contact via a chat app! It is therefore vital that you have a chat solution on your website to capture these potential prospects. You may be wondering how chatbots are able to function in such a sophisticated manner but it’s important to appreciate that chatbots utilise two fields of artificial intelligence: machine learning and natural language processing. Chatbots are able to analyse data – perhaps past conversation history, for example – to determine the best steps to take in relation to a customer. They can also access a customer’s website history, i.e. the pages they viewed, to then tailor their responses and offer more relevant web pages/content to that customer. Chatbots can also operate at scale and keep your customers engaged for longer. The larger your data pool and conversation history, the more refined and personalised your chatbot’s responses will be. Social media continues to expand and evolve year-on-year; Snapchat, Instagram, Twitter, Facebook – the list goes on – the top social media platforms have grown almost exponentially and new channels appear every year. Statistics from Statista suggest that the number of social media users worldwide in 2018 will be 2.62 billion, increasing to 2.77 billion in 2019. In 2017, 71% of Internet users were social network users and social networking is one of the most popular online activities with high user engagement rates – according to Statista. 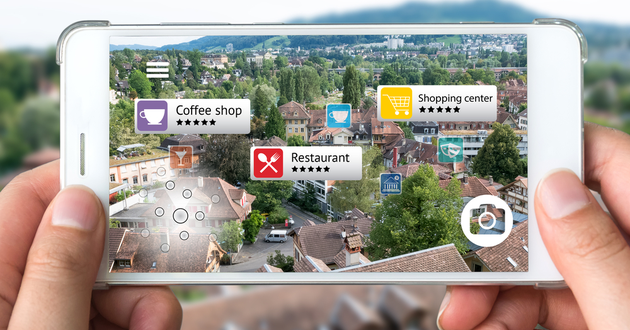 Mobiles and mobile apps have facilitated the rapid growth of social media as a means to engage with friends, family, colleagues and brands and businesses. 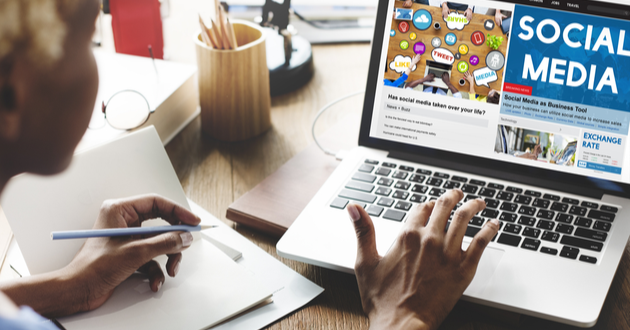 As we move ever deeper into the digital-first world and more and more people utilise social media, businesses must ensure they have a social media marketing strategy to connect with potential customers on social channels relevant to their business. How can you use Facebook Live for B2B marketing? One of the fastest-growing content formats in 2017 is video. Video, in general, and more specifically, livestreaming – is the next big thing. Research from MarketingProfs suggests that Facebook Live videos are watched three times longer than regular videos. An infographic by Filmora suggests that by 2020, 80% of global internet traffic will be attributed to video, while currently 90% of content shared by users on social networking sites (SNS) is video. It’s no surprise then that the majority of marketers are getting on board with video recording. In 2018 – and the future – video marketing will most likely become the go-to for businesses. Statistics from Filmora suggest that the video streaming market is on track to become a $70.5bn industry by 2021 and 80% of customers would rather watch live videos from a brand than read posts! If your business hasn’t got on board with video marketing, now is the time! 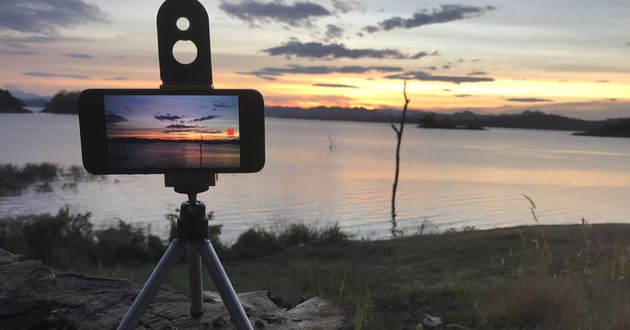 If you are worrying about how costly it will be, all you need is a modern smartphone; they come with excellent cameras and can shoot video with great quality. You no longer need to pay for an expert to make excellent video. 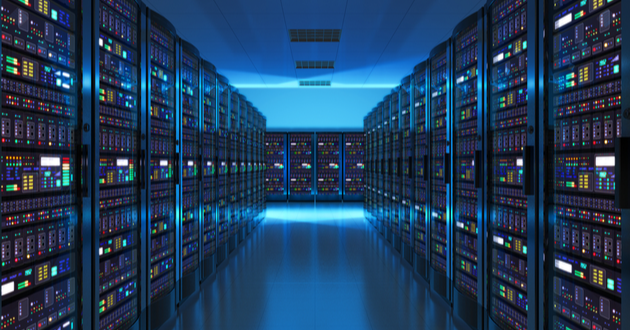 On average, we create 2.5 quintillion bytes of data a day. This data comes from everywhere: sensors, mobile phones, social media posts, digital pictures, videos, transactions, and browsing the internet to name a few. This data, taken as a whole, has come to be known as big data. Big data, according to IBM, spans four dimensions: volume, velocity, variety and veracity. Big data is, IBM continues, more than simply a matter of size; it is an opportunity to find new insights in new and emerging types of data and content to make your business more agile. 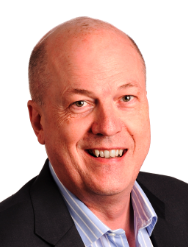 Big data presents a tremendous opportunity for marketers and salespeople alike. As marketers and salespeople, we are obsessed with data and the possibilities it can present. The more data we have on our marketing and sales activities, the better we can understand our results and identify areas for improvement. As AI becomes increasingly involved in the mix – especially for analytics – marketers and salespeople can delve deeper into data they have and uncover new insights. For example, with big data and AI-powered content analytics, marketers can get a better look into the content that is most effective at converting leads and at what stage of the sales cycle. These are just a few things your marketing and sales teams should be considering as 2018 approaches. Having strategies in place for these channels, developments and technologies will give your business a head-start against your competition. Ensure you take the time to evaluate and understand how they can help to improve your business’ marketing in 2018. Tip #42: Keep pushing your marketing boundaries; try experimenting in 2018. Think it. Do it. Optimise it. Why not resolve to try something new every quarter in 2018?